and then more animals in Wilton, N.H. Happy birthday, Charlie! The "Little Tramp" character turns 100 this year. • On Thursday, Aug. 28, I'm accompanying a Charlie Chaplin program at the historic Leavitt Theatre in Ogunquit, Maine. Showtime is at 8 p.m.; tickets are $10 each. This year marks the 100th anniversary of Chaplin's entry in the movie biz, as well as the centennial of his iconic "tramp" character. 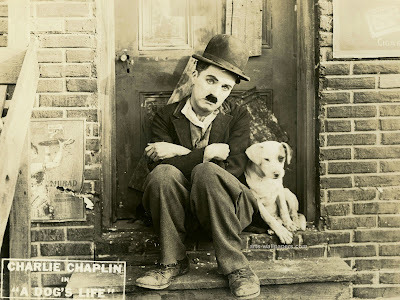 So we thought it was high time to do a program of the short comedies that first established Chaplin's worldwide fame. Still deciding which titles to include in the mix. But the program promises to be a fun one for newbies and long-time fans alike. For many, Chaplin continues to be the "gateway drug," leading people to an interest in other personalities and films of the silent era. As the for the music, for Chaplin films I try to mimic the style of music he used in his later films, when he actually was able to supervised recorded scores that accompanied his work. Chaplin's own music seems to draw from the traditions of English Music Hall pantomime, which makes sense because that's the environment in which he grew up. So although most of Chaplin's early short comedies have no "official" soundtrack, I think they too lend themselves to this style of accompaniment, which Chaplin probably had in mind all along. So that's what I try to do. • Sunday, Aug. 31 will see another "all animal" silent film program at the Wilton (N.H.) Town Hall Theatre. In this case, it's a triple feature, with two films starring dogs and one with a horse. The show starts at 4:30 p.m.; admission is free, but a $5 donation is requested to defay expenses. The films? 'His Master's Voice' (1925) finds Thunder the Dog helping human co-star George Hackathorne overcome his cowardice on the battlefield; in 'The Return of the Grey Wolf' (1923), Leader the Dog comes to the aid of his master, a fur trapper blinded in an accident; and in 'Guardians of the Wild' (1928), Rex the Wonder Horse helps the good guys fight the bad guys over the fate of a pristine patch of wilderness that he calls home. 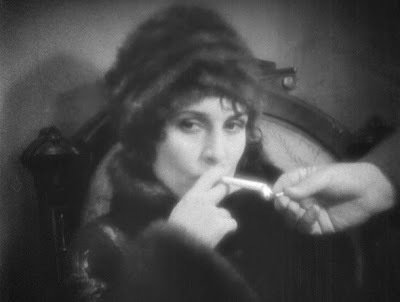 Of the three, 'The Return of Grey Wolf' (1923) is perhaps the loopiest, and therefore my personal favorite. It comes with titles that at times tell us when Leader opens his mouth, he's saying "Woof Woof!" To be fair, these utterances are then translated into more detailed human thoughts. But still, that's something I'd never seen before. All three are crackerjack entertainment and superb examples of why people first fell in love with the movies. They're not recognized as classics. But to me, their value as popcorn entertainment (and as cultural artifacts, too) shows how even little-known "program fillers" from the silent era still really packed a punch. After this, our animal series finishes up in a big way, with a finale of films starring elephants. On Sunday, Sept. 7, we're screening 'Soul of the Beast' (1923) starring Oscar the Elephant, and 'Chang' (1927), a film shot on location in the jungles of Siam. Madge Bellamy co-stars with Oscar the Elephant in 'Soul of the Beast' (1923). Of the two, 'Soul of the Beast' is hands-down the most outlandish silent drama I've ever encountered. I don't want to give away too much, but this is one strange flick, and I'm looking forward to seeing how an audience reacts. In contrast, 'Chang' is the moving story of a rural family forced to battle the jungle for survival. Filmed documentary-style on location, the film is a remarkable record of a way of life that has long since vanished. In the directors' own words, Chang is a "melodrama with man, the jungle, and wild animals as its cast." Kru, the farmer depicted in the film, battles leopards, tigers, and even a herd of elephants, all of which pose a constant threat to his livelihood. 'Chang' was good enough to be nominated for the Academy Award for Unique and Artistic Production at the very first Academy Awards in 1929, the only year when that award was presented. What could this possibly have to do with silent film? Read on. 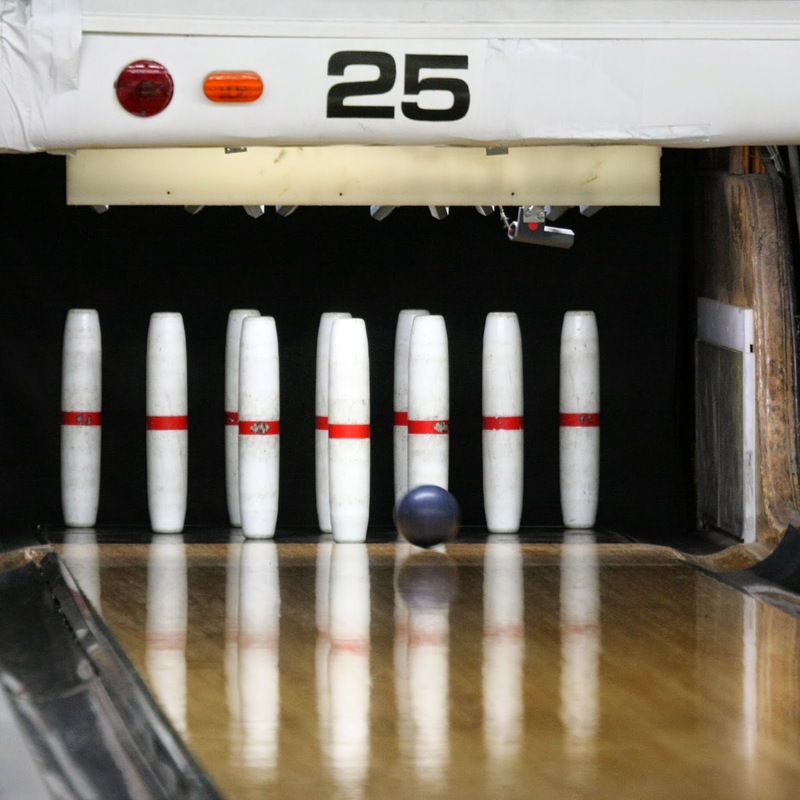 With the ongoing demise of the legendary Market Basket supermarket chain, one of the few remaining distinctive things about life here in New England is candlepin bowling. And therein lies another example of how silent film, though long dead, worked itself into popular culture in ways small and large that persist to this day. Take candlepin bowling, which is a regional variation of bowling as practiced elsewhere in the U.S.
As a kid, I spent way too much time watching candlepin bowling shows on local TV. (That's how popular the sport is around here.) 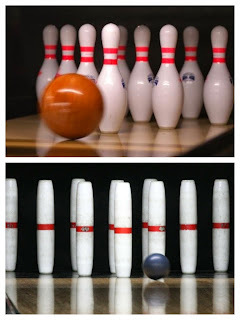 If nothing else, shows like "Bay State Bowling" (hosted by Bob Fouracre) introduced me to the lingo of the sport, which included such exotic terms as a "Spread Eagle" (knocking out just the two middle pins) and a "Half Worcester," another kind of "leave." And best of all was "the Four Horsemen," when the four front pins on either side are left standing alone in a row. Sample usage: "He's gotta pick off the Four Horsemen to spare this up." 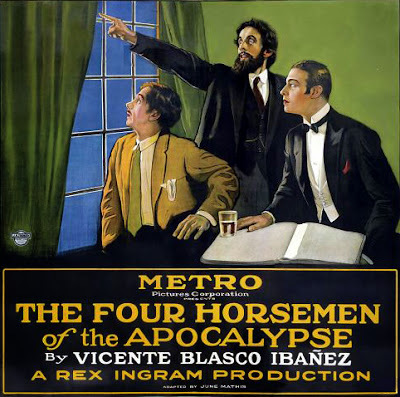 And that was that—until this week, when I accompanied 'The Four Horsemen of the Apocalypse' (1921) at the Flying Monkey Moviehouse and Performance Center in Plymouth, N.H. 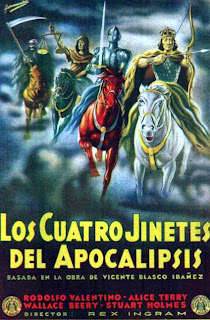 Yes, I know the concept of the "Four Horsemen" comes from scripture, which predates the movie biz. 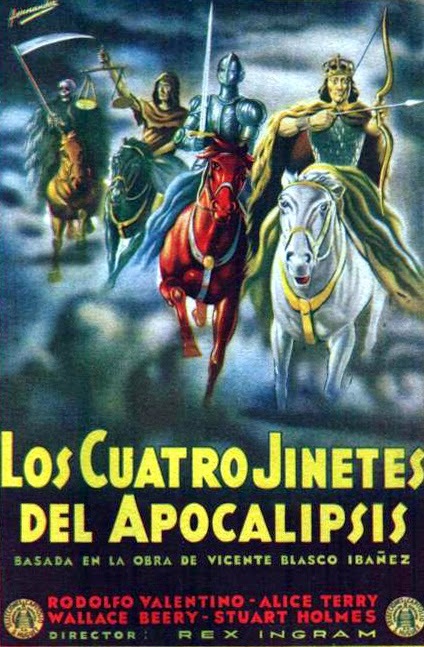 Long before there was a Hollywood, the Four Horsemen were known to readers of the Book of Revelation as harbingers of the coming Judgment Day. But it was the film using that title—and Rudolph Valentino's appearance in it—that really popularized the term. 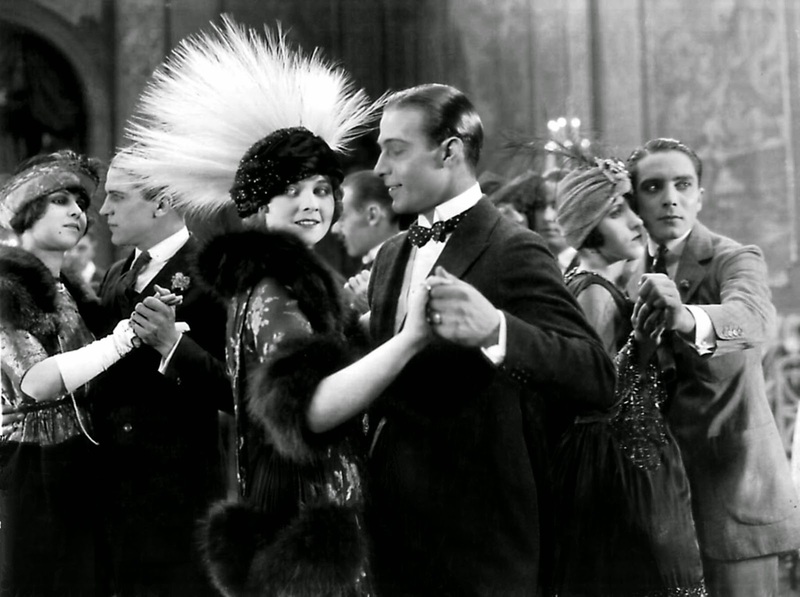 Screenwriter June Mathis turned an obscure Spanish novel into a megahit that propelled Rudy to stardom, launched the tango craze, and became the sixth-highest grossing film of the silent era. So there it is: another example of how silent film is in the DNA of so much around us even now. The problem is, candlepin bowling isn't really the best thing to be thinking about when you're trying to create music that brings to life a sprawling multi-generational drama about a family caught up in World War I. Sure, he could dance. But could he bowl? For instance: there was Valentino, introducing the tango early in the film, and all I could think of was the theme music for "Candlepins for Cash." But I was able to quickly get my mind out of the gutter (har!) and get into the spirit of the film, creating a line of faux-tango music with a rising bass line that served ably for Rudy's character for the rest of the film. I had some ungainly music for the German side of the family (depicted as comical at first, before the sons later become menacing military men), and also a "love" theme that I came up with on the spot. By coincidence, both featured the same two notes: the fifth and the flatted sixth of whatever key we were in—and so I was able to work them in together and transform them from one into another, sometimes at a moment's notice, depending on what was happening on screen. Nice! And the nightmarish images of the Four Horsemen themselves—so spectacular for this period of cinema—required a kind of mad galloping music, I thought. And so I recycled the same patterns of repeated notes I had come up with for the dramatic lunar landing sequence from Fritz Lang's 'Woman in the Moon' (1929) last Sunday night at the Harvard Film Archive. As they say, something old, something new. And thus a live film score is created on the spot. Our next silent film at the Flying Monkey will be Hitchcock's 'The Lodger' (1927) on Thursday, Sept. 11. I wonder if there's any way I can tie it to, say, cricket? Canines and equines and pachyderms, oh my! 3 weeks of silent animal stars in Wilton, N.H.
Leader the Dog stars in 'The Return of Grey Wolf' (1923), showing on Sunday, Aug. 31 at the Wilton (N.H.) Town Hall Theatre. Our summer-long series of silent films starring animals will conclude with an unprecedented series of screenings over the next three Sundays! It's quite a jump from our usual pace of one silent film program each month at the Wilton Town Hall Theatre. But with great animal performers filling the big screen with amazing feats all summer long, I kinda wanted to do a trick or two myself. Plus, I unearthed so many great (if unknown) titles that deserved a spot on the program. So we had to add a few extra shows to fit everything in. And the result is that for the next three Sundays, we're screening no less than eight separate titles, all of which I've never accompanied before. One reason for so many titles is that the animal films have come down to us in versions that tend to run short: most are well under an hour, so doing three at once isn't too much of a stretch. The reason they're short, by the way, is that a lot of these obscure titles were sold for home use in 16mm prints that were often edited down from the full-length versions shown in theaters. In many cases, the 16mm prints are all that survived over the years. The original 35mm prints, produced on highly unstable cellulose nitrate stock, have long since decomposed. As you may know, something like 80 percent of all silent film is lost forever. So we're fortunate indeed, I think, to be able to see what remains of the work of such yeoman (or yeo-animal) performers as Champion the Dog, Rex the Wonder Horse, Oscar the Elephant, and so many other once-popular box office names. The fact that many are slightly trimmed makes them even more action-packed than they might have been originally. Yes, they're sometimes a little loopy in the plot department, but probably no more so than they were all along. One curious semi-local connection: a surprising number of animal films are set in rural Quebec! One of the strangest is 'Return of the Grey Wolf' (1923), in which we get titles telling us that Leader the Dog and his canine pals are saying "Woof! Woof!" and so on. (That is, until the doggy dialogue is "translated" into English, with lines such as "Gee, great to see the gang!") The film runs on Sunday, Aug. 31. And let me put in a special plug for Oscar the Elephant, who stars in 'Soul of the Beast' (1923), one of the titles on the Sept. 7 program. I have to say that I've never seen a more bizarre feature film from the silent era. I had never heard of Oscar before I started planning this series, but I'm so glad to finally make his acquaintance in the one picture of his known to have survived. What's it about? I don't want to spoil the fun other than to say, yes, it takes place in French-speaking Canada. 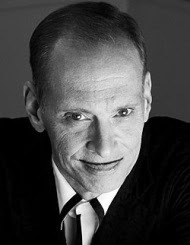 Let's just say it's what might have been the result if cult film director John Waters had come onto the scene about 50 years earlier than he did. Really looking forward to seeing how an audience responds to this one. I hope you'll be willing to join the fun for 'Soul of the Beast,' and all the films coming up in the three-week finale to our animal series. For more specific info, here's the press release from earlier this month. Looks like early film comedy icons Stan Laurel and Oliver Hardy are going to the dogs. They were the great animal stars of early Hollywood: amazing dogs, horses, and even elephants who were as popular as any human performer when the movies were young. In fast-paced action pictures, they chased down villains, rescued their owners, and saved the day with no dialogue needed. See for yourself how animal stars helped establish the popularity of motion pictures as the Wilton Town Hall Theatre completes its summer-long retrospective of the great non-human performers of early cinema. The popular series will conclude with programs on three consecutive Sunday afternoons: Aug. 24, Aug. 31, and Sept. 7. "Animal pictures were hugely popular during the silent era, and it's easy to see why," said Dennis Markaverich, long-time owner/operator at the Wilton Town Hall Theatre. "They're full of action and adventure, and it's been a real thrill to see them back on the big screen this summer." Live music for all screenings will be performed by Jeff Rapsis of Bedford, N.H., one of the nation's leading silent film accompanists. The three-week finale begins on Sunday, Aug. 24 with three films starring dog performers who were lesser known, but no less talented than big names such as Rin Tin Tin. • Sunday, Aug. 24, 4:30 p.m.: "More Forgotten Dogs." 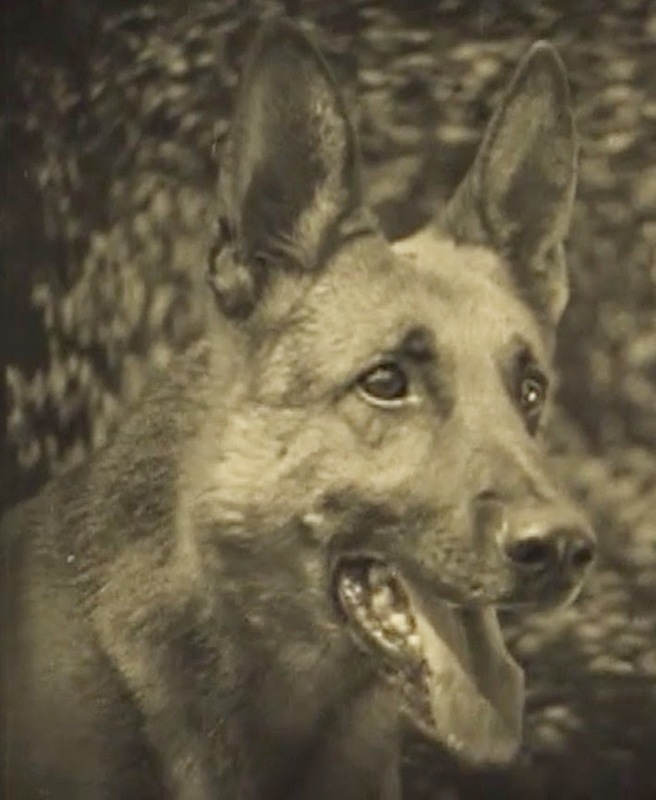 A trio of films featuring popular canine performers whose stars have faded. 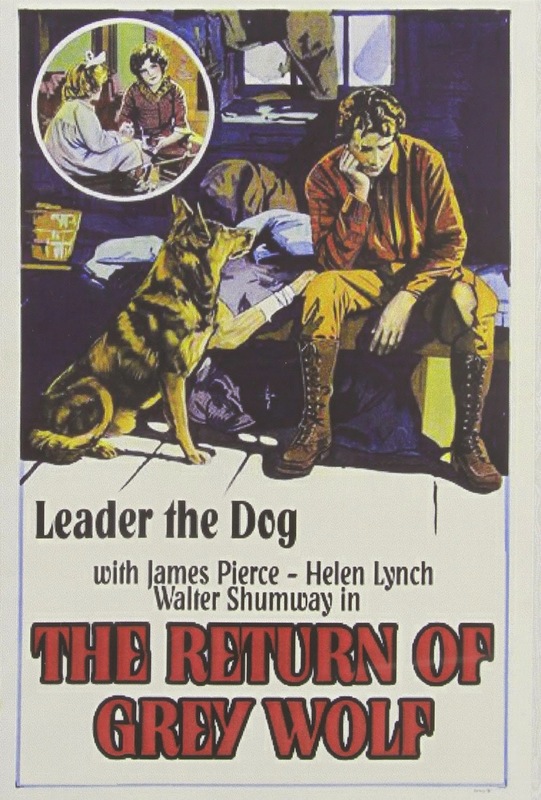 In 'Tracked' (1928), Ranger the Dog stands accused of killing sheep and must go on the lam; 'The Sign of the Claw' (1926) features Peter the Great, a German Shepherd star whose career was cut short by a tragic accident; and 'Sky Rider' (1928) finds Champion the Dog taking flight in an airplane drama. 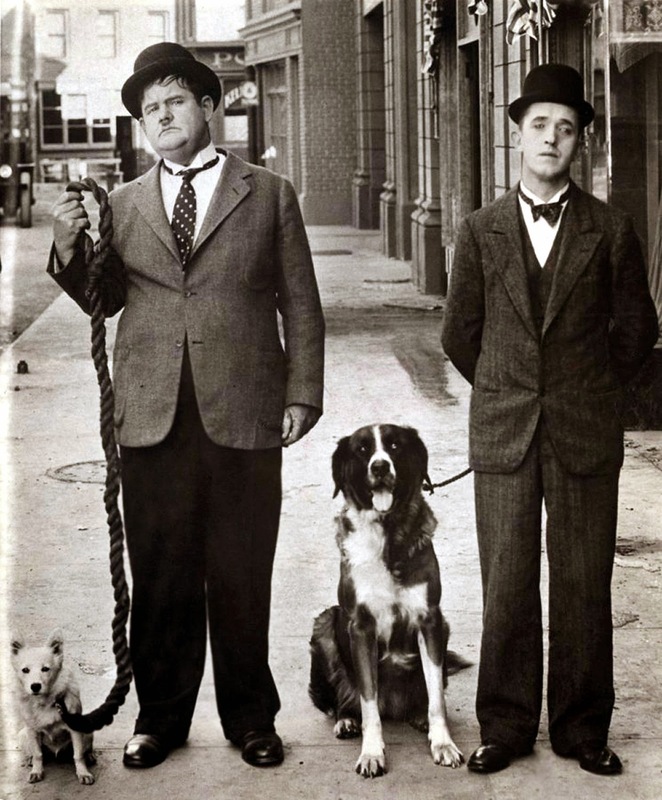 • Sunday, Aug. 31, 4:30 p.m.: "A Triple Feature: Two Dogs and a Horse." Another thrilling triple feature! 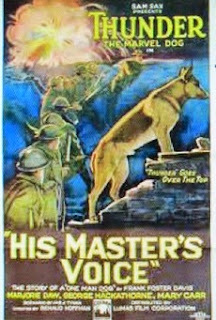 'His Master's Voice' (1925) finds Thunder the Dog (that's him at left) helping human co-star George Hackathorne overcome his cowardice on the battlefield; in 'The Return of the Grey Wolf' (1923), Leader the Dog comes to the aid of his master, a fur trapper blinded in an accident; and in 'Guardians of the Wild' (1928), Rex the Wonder Horse returns to help the good guys fight the bad guys over the fate of a pristine patch of wildernessd. 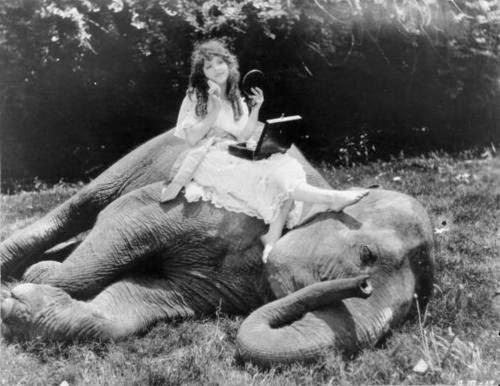 • Sunday, Sept. 7, 4:30 p.m.: "Really Big Stars: An Elephant Double Feature." We finish our look at the silent era's animal stars with a double feature of films with elephants in leading roles! 'Soul of the Beast' (1923) stars Oscar the Elephant, who accompanies a circus runaway fleeing a mean stepfather. Together, they astonish the rustic inhabitants of rural Quebec. In 'Chang' (1927), shot on location in rural Siam (now Thailand), a native family in the back country battles the jungle for survival. Note: the Sept. 7 program was originally scheduled for Sunday, Aug. 17 but was moved to Sunday, Sept. 7 due to a scheduling conflict. All shows are free and open to the public, with a suggested donation of $5 per person to help defray expenses. Movies in the Town Hall Theatre's silent film series were popular when first seen by audiences in the 1920s, but are rarely screened today in a way that allows them to be seen as intended. They were not made to be shown on television, cell phones, or other personal media; in reviving them, the Town Hall Theatre runs them using top quality restored prints, on a large screen, with live music, and before a live audience. The three-week finale to the "All-Star Animal Summer Silent Film Extravaganza" starts on Sunday, Aug. 24 at 4:30 p.m at the Wilton Town Hall Theatre, 40 Main St., Wilton, N.H. Admission is free, with a donation of $5 per person suggested to help defray expenses. For more info, call (603) 654-3456 or visit www.wiltontownhalltheatre.com. For more info on the music, visit www.jeffrapsis.com. Okay, some thoughts on this past weekend, which saw me do music for three silent film screenings in three states in three days. 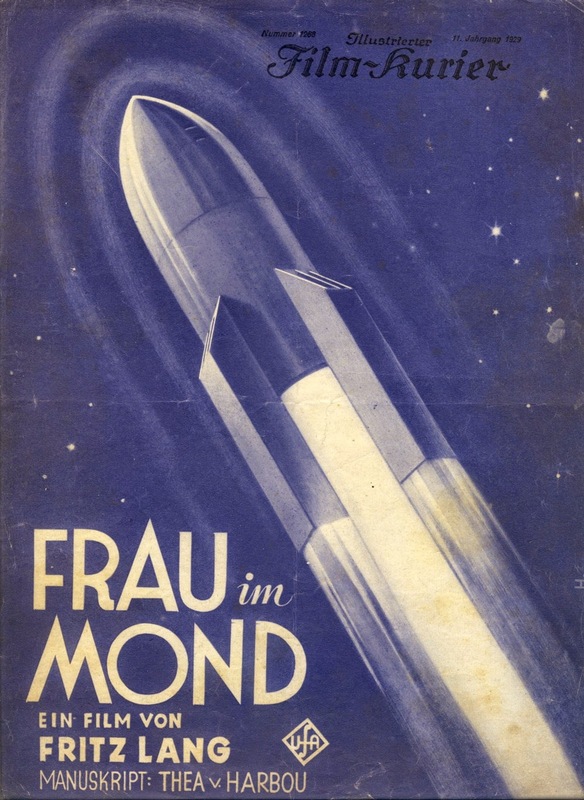 Each program couldn't have been more different: the films were (in order) a drama set during the Russian Revolution; a frothy Hollywood backstage comedy; and a German sci-fi epic about mankind's first voyage to the moon. But after each one, I found myself with similar thoughts. How is this possible? Read on. 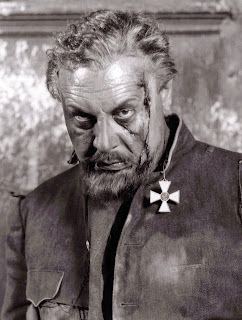 Emil Jannings in 'The Last Command' (1928). • Friday, Aug. 15: 'The Last Command' (1928) at Red River Theatres, Concord, N.H. 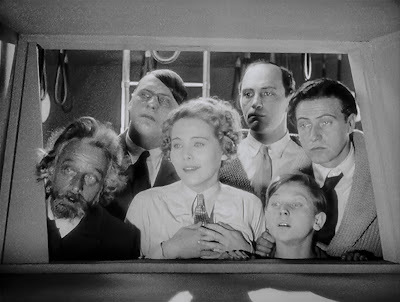 Nothing like starting a weekend by watching Emil Jannings go berzerk! Even with just 19 paid admissions, this multi-layered Josef Sternberg drama delivered its usual impact, with Jannings in a towering performance that helped earn him the first-ever Best Actor Academy Award. Doing music for 'The Last Command' was very gratifying and satisfying, allowing me to play with the Czarist-era Russian National Anthem and also to uncork my inner Mussorgsky. Inspired by earlier screenings, I've scribbled quite a bit of detailed analysis on 'The Last Command.' But I also recall saying that it's the kind of film that prompts new new thoughts and questions every time I encounter it. Well, that's what happened in Concord. This time, I realized another interesting thing about 'The Last Command' is how important the then-brand-new motion picture industry itself to the whole structure of the tale. Although most of the film takes place during the Russian Revolution of 1917 and has nothing whatsoever to do with the movie biz, the story is bookended by scenes that take place in present-day (that is, 1928) Hollywood. These sequences, set behind the scenes in a motion picture studio, provide a crucial framing device that gives 'The Last Command' a multi-faceted and fascinating complexity. Last Friday, it struck me how dependent the story of 'The Last Command' is on cinema itself. It's not an adaptation or retelling of a tale from Shakespeare or Dickens. It's original to the movies, and it had to be, because the movies themselves play an important role in giving the story its dramatic power. And I think that's big, as it goes to the core of one of the reasons I find the era of silent cinema so engrossing. I love the idea of people such as director Sternberg and his collaborators exploring the unique power and properties of film, and using it to reinvent and reshape reality and present it to us in ways never been seen before. So it shows the movies spreading their wings, and I get a lot from seeing that in so many films of the silent era. Another good example is Keaton's 'The Cameraman,' which also used the new medium of the movies to reimagine and comment on reality in ways no one had ever done before in quite the same way. They were very much works that spoke for their era, but also for the human condition of all time. And I find myself moved by that: seeing the possibilities of this new art form made manifest right before my eyes. It's related to the feeling you get when, say, you witness a child ride a bicycle without training wheels for the first time. As Stephen Sondheim has George Seurat say in 'Sunday in the Park with George': "So many possibilities." Like I said, it's big. William Haines and Marion Davies encounter Charlie Chaplin, sans moustache, in 'Show People' (1928). 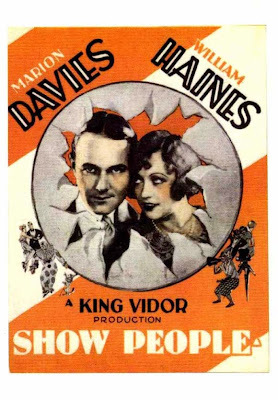 • Saturday, Aug. 16: 'Show People' (1928) at Brandon Town Hall, Brandon, Vt.
To help things along, we had a capacity crowd (more than 100 people) at Brandon Town Hall, where 'Show People' was the featured attraction for Saturday night's show. The score came together nicely, I thought, all based on a fairly simple "show biz" melody that lent itself to being reshaped to match the tempo and pacing of the film's sequences. Alas, it exposed me to yet another hazard of live performance: the meal that doesn't agree with you. In this case, I hadn't eaten much all day, so indulged in a fairly big meal at this Italian place I like in Rutland, Vt., which is on the way, about 20 minutes before Brandon. Then, seemingly right after, I was up in Brandon sitting at the keyboard. I had finished the meal—but the problem was, the meal hadn't finished with me! Really: about half-way through 'Show People,' I felt myself all but under attack from the inside. There was no getting up to do anything about it. So all I could do was what my dear departed grandmother would probably describe as "clamping down my innards." Ah, the glamor of showbiz! I managed to get through the film, but that wasn't the end of the evening's ordeal. Afterwards, a young girl (one of my biggest fans in Brandon! came up to give me a big hug. I got through that, but then she followed this gesture by snapping the band of her handmade bracelet, causing all the baubles to scatter under the stage. She immediately burst into tears, of course. Somehow I got onto my hands and knees and began searching for precious bits of plastic and ceramic to help reconstitute the ruined bracelet, all the while trying NOT to pass enormous amounts of pent-up gas. Geez! I didn't read about moments like these in the memoirs of Berlioz! To keep from focusing on the wrong things, I kept reminding myself about how 'Show People' was such a fun romp through the movie business. I've come to think of it as director King Vidor's Valentine to an era that everybody knew was just about over. And, like 'The Last Command,' it made extensive use of the movie business itself to get most of its energy, and to tell a story that played with our notions of what's real and what's pretend. Two very different movies, but both making use of the then-new business of motion pictures—and its unique properties—as an indispensable part of their stories. Once again I found myself thinking that a lot of the fascination I have with the silent era comes from seeing filmmakers stretch their legs and discover new possibilities in the medium. Also, I couldn't escape this other realization: If you're going to eat a big meal, do it after a screening, not before. The cast of 'Woman in the Moon' (1929) searches the lunar surface not for cheese, but gold. 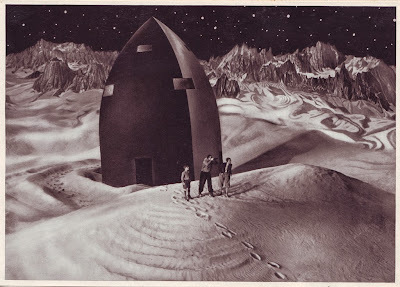 • Sunday, Aug. 17: 'Woman in the Moon' (1929) at Harvard Film Archive, Cambridge, Mass. By attending this screening, my two college-era friends from New York City thought they would easily take the "came from the farthest distance" award. Seriously! His first time in the U.S., and just to be present for this rarely shown late silent sci-fi epic from the director of 'Metropolis' (1927). And it gets better. "Leon" was actually from South Africa; he had only just arrived in Germany on holiday when he learned of the 'Woman in the Moon' screening, prompting him to buy a trans-Atlantic ticket and somehow get a U.S. visa on extremely short notice. But then true Lang fans are a hardy bunch, I've found. It's like they know Lang's films (at least the big silent epics) won't be everyone's cup of tea, so they take it upon themselves to be faithful and loyal advocates all the more. Case in point: also present for Sunday night's screening was an extremely knowledgeable film buff I know whose opinions deserve to be taken seriously. And yet this guy can't stand most of Lang's films (the silent ones, anyway). And sure enough, he felt 'Woman in the Moon' was as bad as the rest: overblown, preachy, nonsensical, and so on. Wow! This is a film I've been fascinated by since discovering it a few years ago. I've come to think of it as a surprising (and neglected) major work by an important director. And as Lang's final silent film, and one of the last major ones ever made, I see it as a kind of mind-bending finale to the whole era. A three-hour silent film epic about cardboard characters going to moon to seek gold, carrying all their love triangles and hidden agendas on board the 1920s-era spacecraft. I can't disagree with my friend's opinion: 'Woman in the Moon' is not a "great" film by any traditional measures. So this got me thinking about why I'm such a fan. What is it about Lang's final silent that I respond so strongly to? One thing is that to me, the movie is a convincing statement about how much vitality the silent film still had. Right up to the end, new possibilities were being explored. I'm really moved by that sense of discovery that I sense in 'Woman in the Moon.' If you'll allow me a poetic leap, I think it's a cousin to the basic human desire to voyage to the moon, "and do the other things," as John F. Kennedy phrased it: not because they're easy, but because they're hard. What Lang did was hard. You try creating a three-hour epic story about space travel from scratch. And yes, success isn't guaranteed, in neither cinema nor space travel. But I applaud Lang's audacity in bringing this wild tale to the screen. I'm responding to that, I think, while the quality of the actual finished film is something else altogether. So perhaps I'm reacting not so much to the film itself, but to the context in which it was created. Lang clearly wanted to blow our minds, and he wasn't afraid to shoot the moon, so to speak. I love that spirit of inventiveness and creativity, which I sense throughout 'Woman in the Moon.' The desire to create something totally new and strange. And that takes me back to the notion of seeing a kid ride without training wheels. Lang was way beyond that. In his amazing last three silents—'Metropolis' (1927), 'Spies' (1928), and 'Woman in the Moon' (1929)—Lang was using film to create whole new worlds. In terms of the "training wheels" analogy, Lang's 'Woman in the Moon' is more akin to a professional cyclist in the Tour de France. And yes, even they take their share of spills. 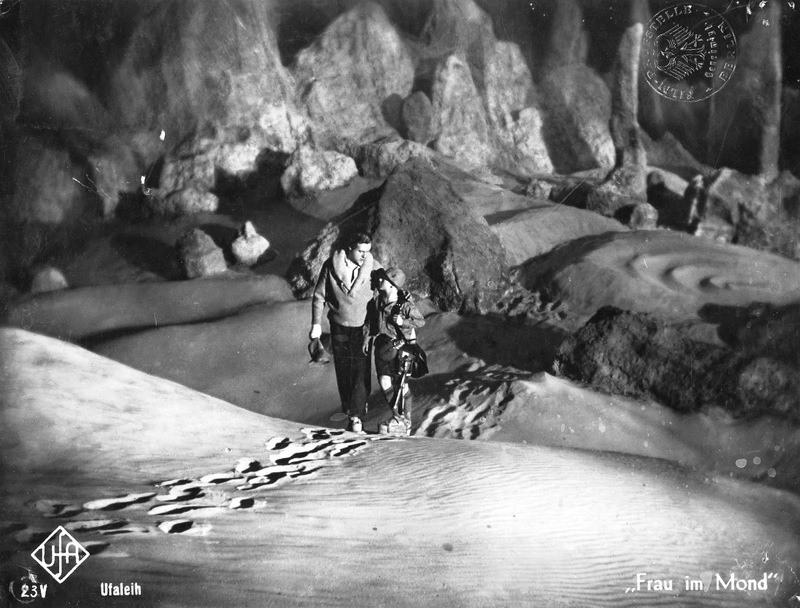 Exploring the lunar surface in 'Woman in the Moon' (1929). I know it sounds like a lame joke to say that a silent film might just leave you at a loss for words. But that's how I feel about 'Woman in the Moon' (1929), the final silent film from German director Fritz Lang. I think it's an astonishing sci-fi rocket ride. And I'm thrilled to be doing live music for a rare screening of it, in 35mm no less, on Sunday, Aug. 17 at the Harvard Film Archive. There's a press release below with detailed info about the film and the screening. I encourage all to join: sci-fi geeks, silent cinema buffs, Lang groupies. There should even be room for a few mainstream folks. But for now, here's 10 reasons you should see 'Woman on the Moon' as it was intended: on the big screen, with live music, and with an audience. 2. It's structured and paced like an espionage thriller, so you won't be bored. 3. 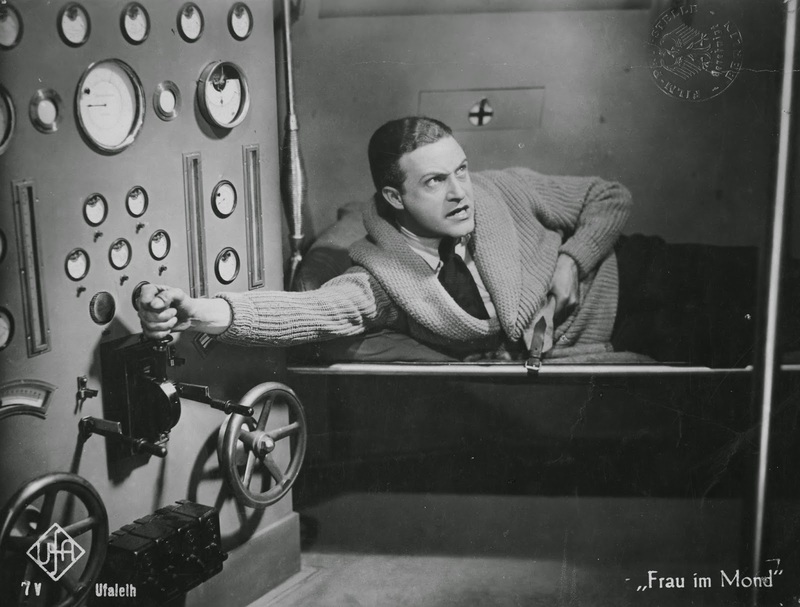 In the big launch sequence, Lang and his screenwriter/collaborator Thea von Harbou invented the idea of a backwards countdown, which later came into common use for actual space launches. 4. What it got right. In reaching the moon, it's astonishing how Lang and his collaborators anticipated so much of what later actually came to pass with Apollo: a tall spacecraft assembly building, multi-stage rockets, lunar landing capsules. 5. What it got wrong. Howlers include a strange notion of zero gravity, moon voyagers dressed like alpine mountaineers, and a conveniently breathable moon atmosphere. 6. Oh, and the moon is full of GOLD! Didn't you know? 7. Director Lang hated Hitler, so it's probably not a coincidence that the villain (a quick-change artist played by Fritz Rasp) bears more than a passing resemblance to Der Führer. 8. 'Woman in the Moon' has been totally overshadowed by its iconic predecessor 'Metropolis' (1927), also directed by Lang. Don't you feel the least bit sorry about that? Here's your chance to right that wrong. 9. The hairstyles of female lead Gerda Maurus. 10. This film will just generally blow your mind for its sheer audacity. So we're counting down until blast-off time, which is Sunday, Aug. 17 at 7 p.m. Hope to see you at the launch pad—er, the Harvard Film Archive. Now arriving: mankind on the lunar surface. CAMBRIDGE, Mass.—A sci-fi adventure hailed as the first feature film to depict realistic space travel will be shown this weekend at the Harvard Film Archive. 'Woman in the Moon' (1929), directed by German filmmaker Fritz Lang ('Metropolis,' 1927), will be screened in 35mm with live music on Sunday, Aug. 17 at 7 p.m. Admission is $9 per person/$7 students & seniors. The screening is part of a retrospective of Lang's work and career that continues through September at the Harvard Film Archive. The cast admires a close-up view of the moon prior to landing. 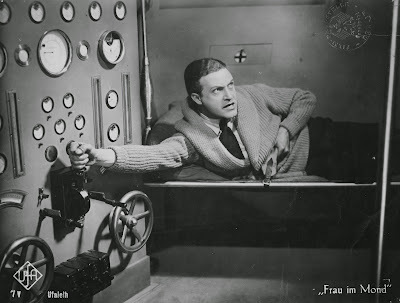 Ship Commander Willy Fritsch prepares to pull the launch lever. ‘Woman in the Moon’ will be shown in 35mm with live music on Sunday, Aug. 17 at 7 p.m. at the Harvard Film Archive, located in Carpenter Center for the Visual Arts, 24 Quincy St., Cambridge, Mass. Tickets are $9 per person/$7 students & seniors. For more information on the screening, visit http://hcl.harvard.edu/hfa/ or call 617-495-4700. For more information on the music, visit www.jeffrapsis.com. on Friday, Aug. 15 at Red River, Concord, N.H.
Evelyn Brent lights up in 'The Last Command' (1928). Smoking may not be good for you. But it's great for certain silent films. That's what I'm thinking as I prepare to do music for 'The Last Command' (1928), being screened on Friday, Aug. 15 at Red River Theatres in Concord, N.H. The story of a Czarist General whose life changes forever during the Russian Revolution, it's an epic picture that won Emil Jannings (that's him below) the first-ever Best Actor Academy Award. It's also a fitting way to commemorate this summer's 100th anniversary of the events that plunged Europe and then the world into what we now call World War I. So with all that going for it, why cigarettes? Because cigarettes, and the various ways they're handled, are an important method of communication in 'The Last Command.' If you join us for this marvelous film (and I hope you do), watch for how cigarettes are used to show the changing relationships between the characters. That's all I'll say for now. But I point it out because it's something I didn't notice when I first encountered this film, perhaps because (like everyone else these days) I'm not really literate in reading a film visually in the way that the best silent films demand. Or maybe I'm just slow on the uptake. Either way, it's a great example of how the limitations of silent film (no dialogue) prompted directors to find purely visual ways to tell their stories on the big screen. The fewer intertitles (words on the screen), the better. And then there's that Best Actor award. 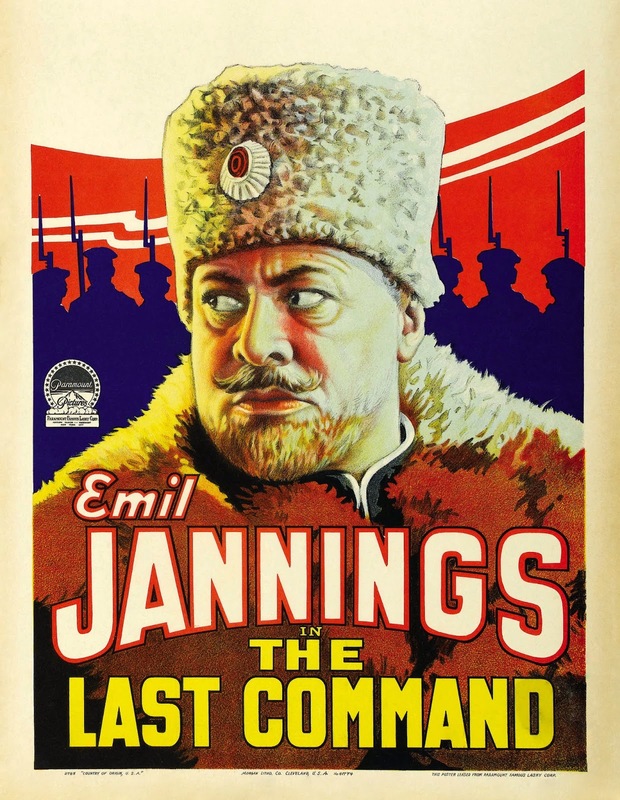 There are few moments in cinema more electrifying than watching Emil Jannings go berserk at the climax of 'The Last Command.' So come see it! How about another cigarette reference? No butts about it! 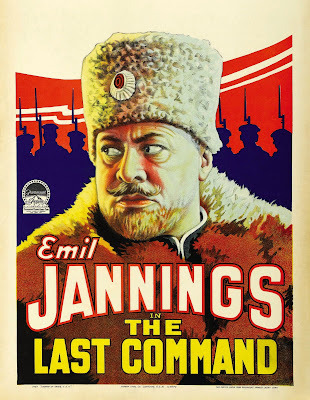 CONCORD, N.H.—'The Last Command' (1928), a silent film drama that won Emil Jannings 'Best Actor' honors at the first-ever Academy Awards, will be screened with live music on Friday, Aug. 15 at 7 p.m. at Red River Theatres, 11 South Main st., Concord, N.H.
Rapsis accompanies films using a digital synthesizer to recreate the texture of a full orchestra. He has performed live film scores at events ranging from the Kansas Silent Film Festival to the Cinefest vintage film convention in Syracuse, N.Y., and last year collaborated with Academy Award-winning film historian Kevin Brownlow on a silent film program at the University of Arkansas at Fayetteville. The film takes audiences on a journey through big emotions as well as issues of history, time, power, and especially a man's duty to his country and to his fellow citizens—and what happens when the two obligations diverge. 'The Last Command' is also one of early Hollywood's most creative and challenging looks at the conflicts of World War I, which began 100 years ago this summer. 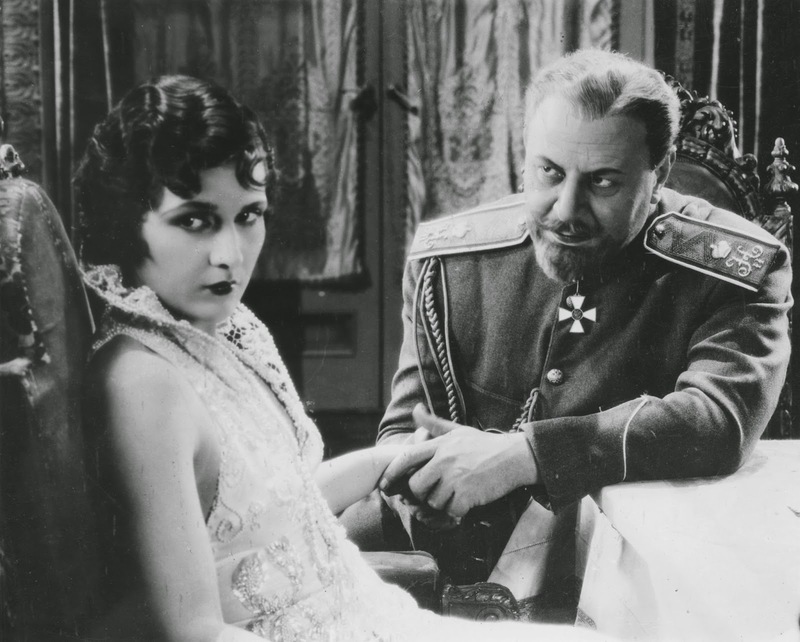 Evelyn Brent and Emil Jannings get to know one another in 'The Last Command' (1928). 'The Last Command' (1928) will be screened with live music on Friday, Aug. 15 at 7 p.m. at Red River Theatres, 11 South Main st., Concord, N.H. Admission is $10 per person; for more info, call (603) 224-4600 or visit www.redrivertheatres.org. For more information about the music, visit www.jeffrapsis.com. There goes Reagan's gay interior decorator! Actor William Haines at the height of his popularity. To tell the story, or to not tell the story? And before the film, or afterwards? These are questions posed by the career of actor William Haines. Although his name has now faded into obscurity, Haines was one of Hollywood's most popular leading men in the years when silent film died and sound film took over. His career abruptly tanked, but not because Haines couldn't make the transition to talkies. It tanked because he was gay. Really! Haines remained box office gold for MGM into the early 1930s, but refused to hide his off-screen homosexuality. With MGM's wholesome image at stake, studio boss Louis B. Mayer finally issued an ultimatum: for publicity purposes, Haines must agree to a sham marriage to an MGM starlet, or his career was over. Haines said no thank you, and Mayer made good on his threat. Haines was soon off the screen. But Haines had the last laugh. His movie career over, he launched a fabulously successful interior design business (I know, you saw that one coming) which for decades catered to Hollywood's royalty. Later in life, he counted Ronald and Nancy Reagan among his favorite clients. 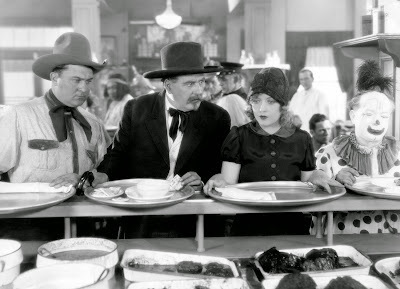 So here's the deal: On Saturday, Aug. 16 in Brandon, Vt., we're screening 'Show People' (1928), a great late MGM silent comedy in which Haines co-stars with Marion Davies. Like so much of Hollywood's output, it's built on a boy-meets-girl story, except in this case Haines was acting on more than one level. William Haines and Marion Davies encounter an out-of-costume Charlie Chaplin in 'Show People' (1928), a movie about movies. Directed by King Vidor, 'Show People' is a crackerjack picture about the movie business itself as it existed near the end of the silent era. With its light-hearted spirit of mockery, 'Show People' is a valentine to all the energy and excitement that everyone knew was about to change forever. In promoting the film, is it right to bring attention to the story of Haines' homosexuality? Or should the film be allowed to stand or fall on its own terms, without that context? After all, audiences at the time would have had no idea. So why bring it up? I used to think it was a mistake to mention the background, as I thought it would make for an unhelpful distraction. As an art form, silent film has enough obstacles to reaching audiences today. I feared that every time Haines appeared on-screen, all people would think is, "There goes Ronald Reagan's gay interior decorator!" But I've come to realize that just as Haines was courageously open about his sexual orientation, his life story needn't be covered up. As you can tell from this post, I now feel it's actually a big part of why any of his pictures, silent or sound, are worth checking out today. Not only was he an winning on-screen performer, but the man had the courage of his convictions at a time when there was immense pressure to conform to certain norms. That's a story worth telling, and so I do. Hence this post, and all the other publicity celebrating his career and life story. So I hope you'll join me at Brandon Town Hall (on Route 7 in lovely Brandon, Vt.) for a screening of 'Show People' (1928) on Saturday, Aug. 16 at 7 p.m. Admission is free, with donations accepted to help with ongoing renovations to the facility. More info about the film and the screening is posted in the press release below. BRANDON, Vt.—He was the Tom Hanks his time: a leading man with a breezy charm who always got the girl. But the film career of William Haines, one of early Hollywood's brightest stars, was cut short for an unfortunate reason: at a time when sexual preference was a taboo subject, Haines was openly gay. See Haines at the peak of his popularity in 'Show People' (1928), an MGM comedy co-starring Marion Davies that spoofs the movie industry, pitting high drama against low comedy. Showtime for 'Show People is Saturday, Aug. 16, at 7 p.m. at the historic Brandon Town Hall and Community Center on Route 7 in downtown Brandon, Vt.
All are welcome to this family-friendly event; admission is free. The screening is the latest in the Brandon Town Hall's silent film series, and will feature live accompaniment by Jeff Rapsis, a New Hampshire-based composer who specializes in creating scores for silent films. Any free will donations will go toward Town Hall restoration. The screening of "Show People' is sponsored by the Brandon Town Players and Bill & Kathy Mathis In Memory of Maxine Thurston. 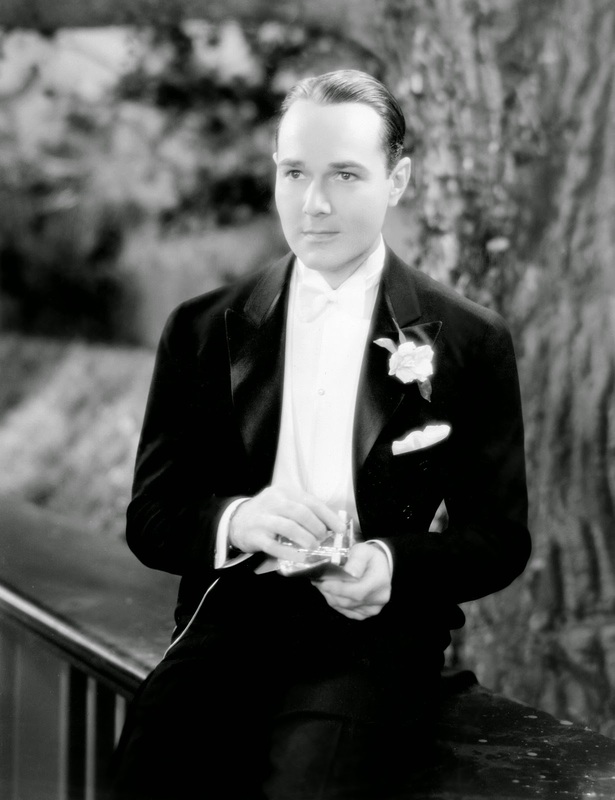 William Haines was one of MGM's biggest stars in the late 1920s, often playing the male lead romantic comedies. But off-screen, Haines was gay—and, unusually for the era, did not hide his homosexuality. Haines maintained his star status at MGM during the move to talking pictures. But a publicity crisis arose in 1933, when Haines was arrested in a YMCA with a sailor he had picked up in Los Angeles' Pershing Square. Characters from two very different movies collide in a scene from 'Show People' (1928). Can the young actress yearning for drama survive the indignity of pies in the face? And when her big break finally comes, will it mean sacrificing her growing friendship with Billy? And can Billy rescue the fun-loving Georgia girl from a studio that aims to invent a whole new persona for her as a serious actress, descended from European royalty? A scene in the MGM company cafeteria. In 2003, 'Show People' was selected for preservation in the United States National Film Registry by the Library of Congress as being "culturally, historically, or aesthetically significant." The program will also include short silent film comedies prior to the main feature. The Brandon Town Hall's silent film series aims to recreate the full silent film experience, with restored prints projected on the big screen, live music, and with a live audience. All these elements are essential to seeing silent films they way they were intended, Rapsis said. • Saturday, Sept. 13, 7 p.m.: "Silent Comedy with Harry Langdon" Silent comedy featuring the unique style of Harry Langdon, whose innocent baby-faced character rocketed to fame late in the silent era on the strength of films directed by a very young Frank Capra. Rediscover Harry's quiet genius the way it was intended to be seen: on the big screen and with a live audience. Screening sponsored by the Brandon Artist Guild, Charles Powell and Steve Zorn. • Saturday, Oct. 18, 7 p.m.: "Chiller Theater Silent Double Feature starring Lon Chaney" The annual "Chiller Theater" presentation in the as-yet-unheated Brandon Town Hall. Just in time for Halloween, two classic silent films that will creep you out. In 'The Unknown' (1927), Lon Chaney plays 'Alonzo the Armless,' a disabled circus performer smitten with Joan Crawford. What he does to prove his love for her makes for an unforgettably twisted tale from director Tod Browning. Plus: Another Lon Chaney feature TBA. Screening sponsored by Lake Sunapee Bank. Chaplin, here with co-star 'Scraps,' amps up the poverty in 'A Dog's Life' (1918). This weekend finds me doing music for Charlie Chaplin on the big screen of the Somerville Theatre's main theater. The show, consisting of the first four of Chaplin's comedies released by First National, is on Sunday, Aug. 10 at 2 p.m.
Of course you don't need a specific reason to show Chaplin. But if one was required, the year 2014 marks the 100th anniversary of Chaplin's entry into the movies, and also the 100th birthday of his iconic 'Tramp' character. So there! Happy birthday, Charlie Chaplin. Maybe someone should bring a cake. Coincidentally, the Somerville Theater opened 100 years ago this year. So lots of centennials to go around. 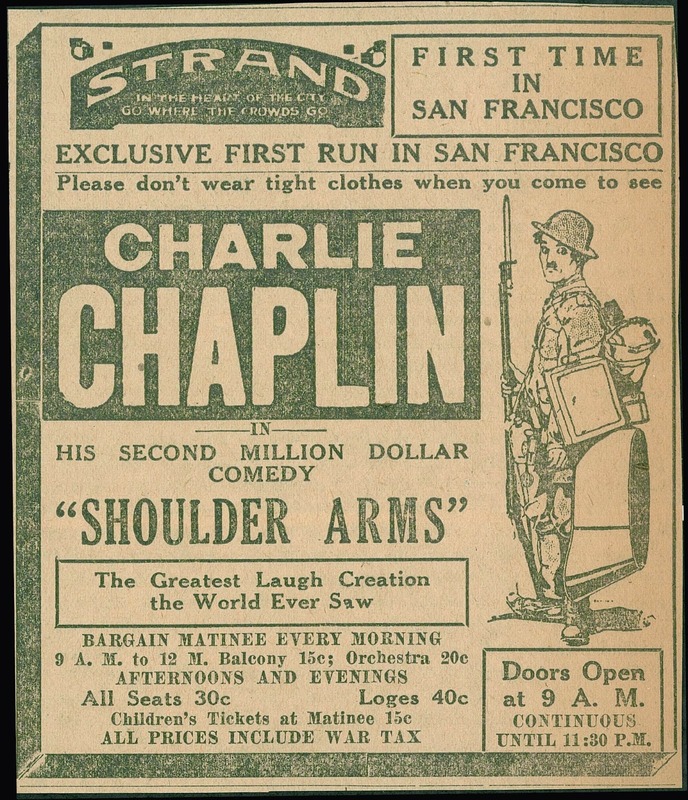 And here's another: one film on the program is Chaplin's 'Shoulder Arms' (1918), a daring comedy set in part in the trenches of World War I, which began 100 years ago this summer. Because of all this, we're charging a fee of $100 a ticket. No, wait—the Somerville management has just informed me that ticket prices will remain at the usual $15 per person. About the films: besides 'Shoulder Arms,' we're also screening 'A Dog's Life' (1918), 'Sunnyside' (1919), and 'A Day's Pleasure' (1919). I'm told the 35mm prints the theater received are virtually brand new (struck in 2010) and have excellent black & white density, so what's on the screen promises to be just about as good as what audiences saw nearly a century ago. The films themselves are interesting in that they show Chaplin trying at a turning point in his growth as a filmmaker. In just four years, Chaplin had gone from unknown newbie to the funniest man in the world. Really! What to do next? Chaplin could keep cranking out the funny short comedies, but somehow that wasn't enough. And so, starting with the films he made for release by First National in 1918, he began searching for something richer, more complex—different. As outlined in Walter Kerr's great book 'The Silent Clowns,' Chaplin began to take his 'Tramp' character in new and challenging directions, testing his behavior in various situations. And sure enough, each of the four films on Sunday's program show Chaplin exploring different paths and new ideas, pushing boundaries and stretching possibilities. In 'A Dog's Life,' he amps up the realism and adds a dose of pathos: the Tramp is depicted as genuinely penniless, and in a menacing world that looks like it was designed by Charles Dickens. 'Sunnyside' (1919), set in an idyllic rural landscape, finds Chaplin exploring pastoral fantasy, in the form of an extended ballet sequence. And 'A Day's Pleasure' (1919) returns to the knockabout style of his earlier comedies, although Chaplin is now saddled with a wife and two kids. 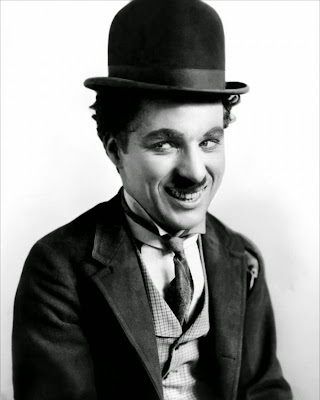 W.C. Fields once referred to Chaplin as a "god-damned ballet dancer." A scene from 'Sunnyside' (1919) might be one reason why. Four films, four very different directions. Yes, they're all funny. But beyond the laughs, what was Chaplin up to? We can't know for sure, but I think Chaplin answered this question in the film he made right after these four comedies: 'The Kid' (1920), his first full-length feature. A feature film demands things that a short comedy doesn't. It demands a solid story. It demands characters rather than caricatures. It demands planning and pacing and depth. 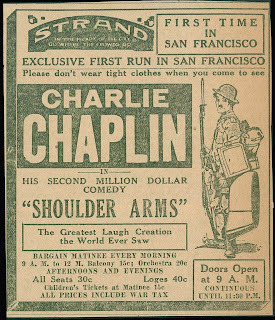 In his first four First National comedies, Chaplin was pushing himself into new places to test his character in different environments. In effect, he was laying the groundwork for 'The Kid' and the other features that would be his crowning achievements. The process that got him there is clearly visible, I think, in the quartet of comedies we're screening this Sunday at the Somerville. If we needed a slogan for the show, it might be this: ARTIST AT WORK: CHAPLIN'S FIRST FOUR FOR FIRST NATIONAL. But then I see this contains a weird internal palindrome: FIRST FOUR FOR FIRST. That's bad karma, and confusing, too. So let's just say it's a program worth catching if you're anywhere within traveling distance of Davis Square in Somerville, Mass. on Sunday, Aug. 10. And don't pay any attention to the weather, which is supposed to be gorgeous. We've had way too much great weather all summer long in our part of the world, so you won't be missing anything. And besides, how many chances do you think you'll get to see some of Chaplin's best work on the big screen in 35mm with live music and an audience? Okay, getting back into the groove with a screening of the silent version of 'Peter Pan' (1924) on Thursday, Aug. 7 at the Leavitt Theatre in Ogunquit, Maine. Showtime is 8 p.m. and admission is $10 per person. Most people are surprised to learn that there's a silent version of 'Peter Pan.' And those who see it are always surprised at how much fun it is and how well it holds up. 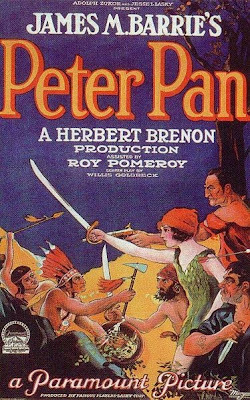 My theory: there's something about the silent film format that engages an audience's imagination in a way that helps the Peter Pan story come to life. In that vein, the film contains one of the most effective audience participation sequences in all of silent cinema. So come see for yourself. The press release with all the information is below. Hope to see you there! Betty Bronson plays the title role in the silent film version of 'Peter Pan' (1924). OGUNQUIT, Maine—It was the film that introduced movie-goers to visions of flying children, magical fairies, human-like animals and menacing pirates. It was the original silent film adaptation of 'Peter Pan,' a picture personally supervised by author J.M. Barrie. The film was a major hit when released in 1924, with audiences eager to get their first big-screen look at the wonders of Neverland. Local movie fans can see for themselves when the first 'Peter Pan' (1924) is screened with live music on Thursday, Aug. 7 at 8 p.m. at the historic Leavitt Theatre, 259 Main St., Route 1, Ogunquit, Me. The program will feature live music by silent film accompanist Jeff Rapsis. General admission is $10 per person. The show, which is appropriate for all ages, makes for a unique family night out after a long summer day of outdoor activities. 'Peter Pan' is the latest in the Leavitt's series of silent film screenings with live music. The series aims to show the best silent films in the way that caused people to first fall in love with the movies—on the big screen, in a theater, with live music, and with an audience. "We're thrilled to be presenting the original 'Peter Pan' at the Leavitt, where familes can come together and experience it in a way that's impossible to duplicate with a home entertainment center," said Peter Clayton, longtime owner/operator of the Leavitt. 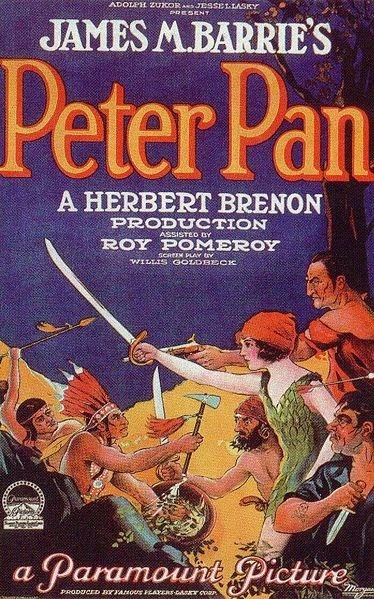 Though the Peter Pan story is well-known today due to subsequent adaptations (and also merchandising that includes a ubiquitous brand of peanut butter), the tale was virtually new when Hollywood first brought it to film in the early 1920s. In England, author Barrie gave his blessing to the first-ever screen adaptation, though he retained control over casting and insisted that any written titles in the film be taken directly from his own text. 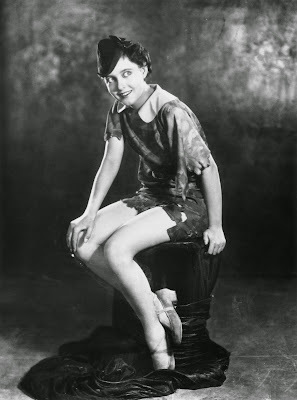 After a major talent search, Barrie settled on unknown 18-year-old actress Betty Bronson for the title role, and filming began in 1924. The role of Captain Hook was played by noted character actor Ernest Torrance, who invented the now-iconic villainous pirate persona that would become a Hollywood legend. 'Peter Pan' will be accompanied by local musician and composer Jeff Rapsis, who has prepared new material to go with the picture. "Silent film was intended to be screened with live music that not only supported the action, but clued in the audience to changing moods and scenes," said Rapsis, a New Hampshire resident and one of the nation's leading silent film musicians. "I hope this new music will help bring to life the film's special qualities of fantasy and child-like wonder." Okay, I'm back after visiting Switzerland for my wife's family reunion. Although the weather was rainy most days, I did get a chance to use those hiking boots seen in an earlier post. Click on it to view it full size in your browser. It's a panorama made up of 14 separate shots taken on the shore of Lake Macun, way up in the Alps above the Lower Engadine Valley in southeast Switzerland. I took them while standing in one place and slowly turning around full circle. For a sense of scale, check out the people visible about two-fifths of the way from the left. Many thanks to Andrew Mason at HippoPress for stitching these images together! And below is a view from later, looking back, when I had climbed to the top of the ridge visible at the far left of the panorama. I'll post a full account of the hike (with a lot more photos) later on. But what does this have to do with silent film accompaniment? Not really anything, other than the fact that I was hiking solo, so there wasn't much dialogue. Actually, the whole trip helped to clear my head about music. So I feel like I can start fresh in August, which has some very interesting films coming up. If I had to sum up the offerings, I'd say Action, Adventure, and Animals. More details to follow, but the schedule is posted at right under "Upcoming Silent Film Screenings." While traveling, I didn't totally ignore music. In addition to enjoying the sounds of Swiss cowbells everywhere we went, I was reading through Volume One of a remarkable work: a two-volume biography of French composer Hector Berlioz. Written by English scholar David Cairns (hey, maybe there is a hiking relationship!) and published about 10 years ago, it's an extraordinary account of colorful life of one of the great figures of music. I just finished Volume One last night, and am already plowing into Volume Two. But I can already tell this biography is going to be one of my "go-to" books: ones that I return to again and again over the years to reread in part or perhaps whole. For one thing, the book is full of vivid detail. It also lays out the cultural milieu in which Berlioz had to function, and makes it clear (for the first time, for me) just how much of a revolutionary he was. But most importantly, Cairns is able to mine letters and other sources to construct a portrait of an absolutely amazing personality. And the way he lived his life, and what he stood for, has so much to say to me today, I find it almost unbelievable. Plus, the life of Berlioz is such a great story and is so dramatic that it would make a great piece of theatre. I'm already imagining a play with music in which Berlioz discusses his life and we get to hear some of the music that came out of it. It could possibly be something that symphony orchestras could do in live performance as a way of reaching new audiences, the same way some of them are starting to do silent film screenings. I don't know when I'll find time to work on that. For now, I'm just excited at going back to familiar works such as the Symphonie Fantastique and hearing them with so much more knowledge about the circumstances of their creation. It can be argued that music, or the work of any artist, should stand on its own, with no requirement that the composer's life or personality have any bearing on it. But I find with Berlioz, knowing what he went through and what he was up against has made me more interested in the music than ever before. Thanks, David Cairns! I plan to do some more above-treeline hiking this month, and I'll think of you when I see any cairns.